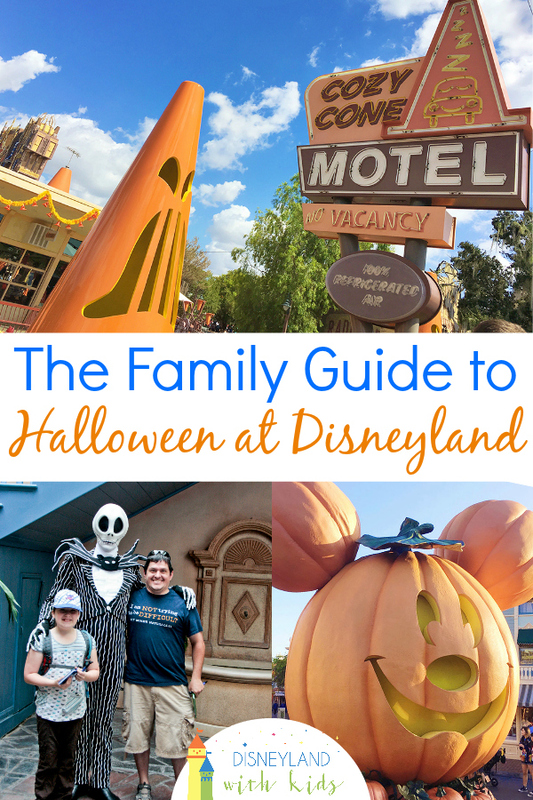 If you are planning a trip to Disneyland in the fall with your kids, chances are you will be there during the Halloween celebration. While this is a great time of year to go, there are definitely some things you should know about. 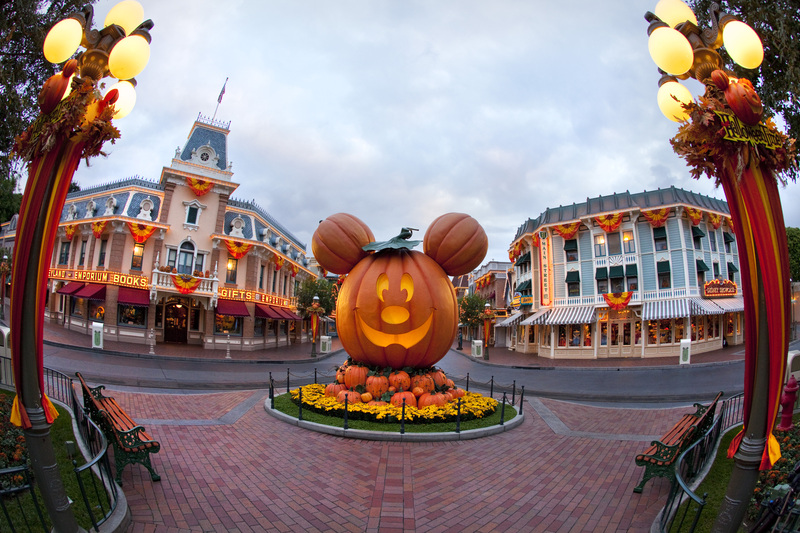 This year, Halloween is starting sooner then ever before at Disneyland park. Starting September 7, 2018, you can enjoy all the spooky fun. Disneyland goes all out for Halloween. This includes decorations. Main Street USA has a pumpkin festival, characters out in their Halloween best, and lots of fall colors. Disney California Adventure has gotten in on the fun last year, and this coming season. 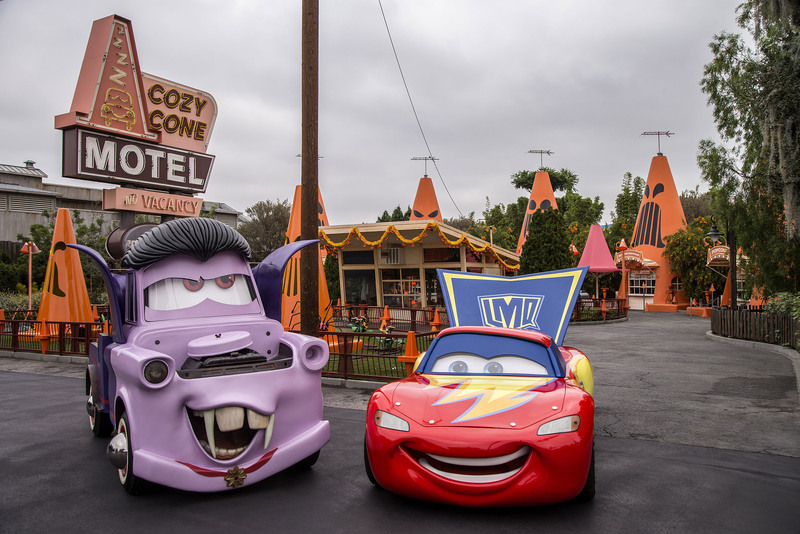 Cars Land has a full on Haul-O-Ween layover with lots of great touches and even your favorite Cars characters get dressed up for this time of year. Disneyland has some special ride overlays for Halloween. What is a ride overlay? Basically a special version of the ride. So what special overlays can you expect at Disneyland? Jack Skellington and his crew take over the Haunted Mansion as they deck the hauls with some spooky holiday cheer. This overlay is special in that it will last through the Holidays at the Disneyland Resort. Space Mountain gets a ghostly overlay. You will see ghost projections in this (extremely) dark coaster ride. This layover may be a bit scary for some of the younger riders. Trust me, I know. My son was in tears after. This is probably the most unique of the layovers because this ride overlay only runs in the evenings. During the day, you can still ride Guardians of the Galaxy: Mission Breakout! The original ride will close early (around 5 pm) and the Monsters After Dark version will start about an hour later. With this, the Fastpass machines and MaxPass distribution for Monsters After Dark starts a few hours before the change over, so watch for them to open up each day. Mater loves Haul-O-Ween and so he has a small ride overlay during Halloween. The overlay mostly consists of a few Haul-O-Ween decorations and a change in music for the ride. Just like Mater, Luigi is getting in the Haul-O-Ween spirit. He has some Halloween decor and a change in music to help celebrate the holiday. A huge part of Halloween at Disneyland is Mickey’s Halloween Party. This is a separate, ticketed event that is hosted a few nights per week, starting in mid-September. Prices range from $95 for AnnualPassholders to $130. 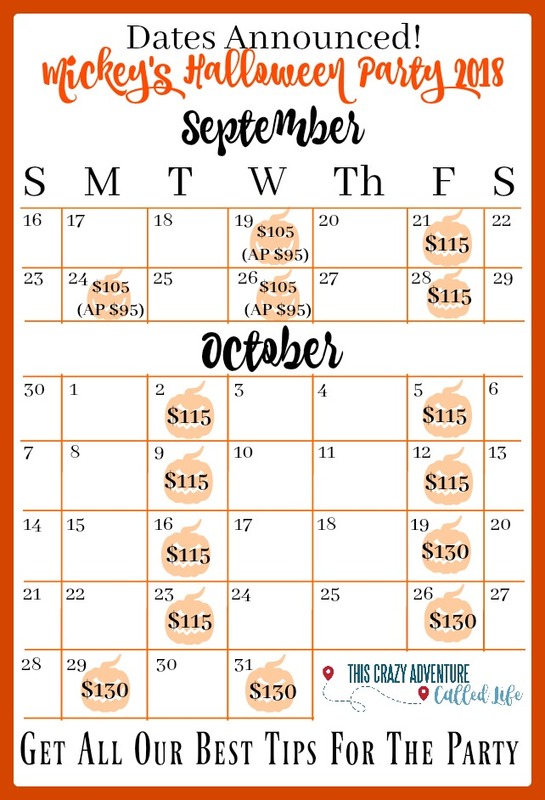 Below is a calendar with dates and prices. The Halloween party includes a special trick or treat trail, parade, firework show, and your favorite Disneyland characters (villains especially). The Halloween party is the one time per year that adults can actually wear costumes. The tickets for Mickey’s Halloween Party go on sale for Annual Passholders and Disney Visa Cardholders June 5th. Tickets are available to the general public beginning June 12th. If you are planning your vacation for this time, we suggest you book your vacation package NOW as hotels seem to fill up quickly once the party dates are released. Our partners at Get Away Today have a few great deals for Halloween time. In September they have Adults at Kids’ prices for all 3 day or longer parkhopper tickets. and in October they have 5th day free on parkhopper tickets. Both are excellent deals but if you combine them with a hotel stay (often including 3rd or 4th night free) you can use our code DisneyKids to save an extra $10 on packages of 2+ nights. Once your vacation is booked, then we suggest buying your tickets early as they do tend to sell out rather quickly. If you plan on going on Halloween, buy them the day ticket sales open up. The other October dates usually sell out within a week or two, and September follows shortly after.